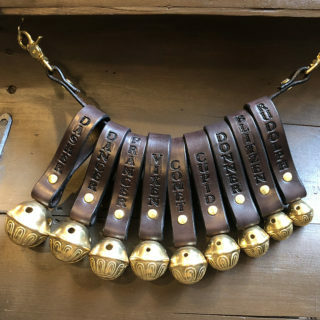 3 1/2 Inch wide Santa Claus belt custom made with bells by Irish Leather Works! 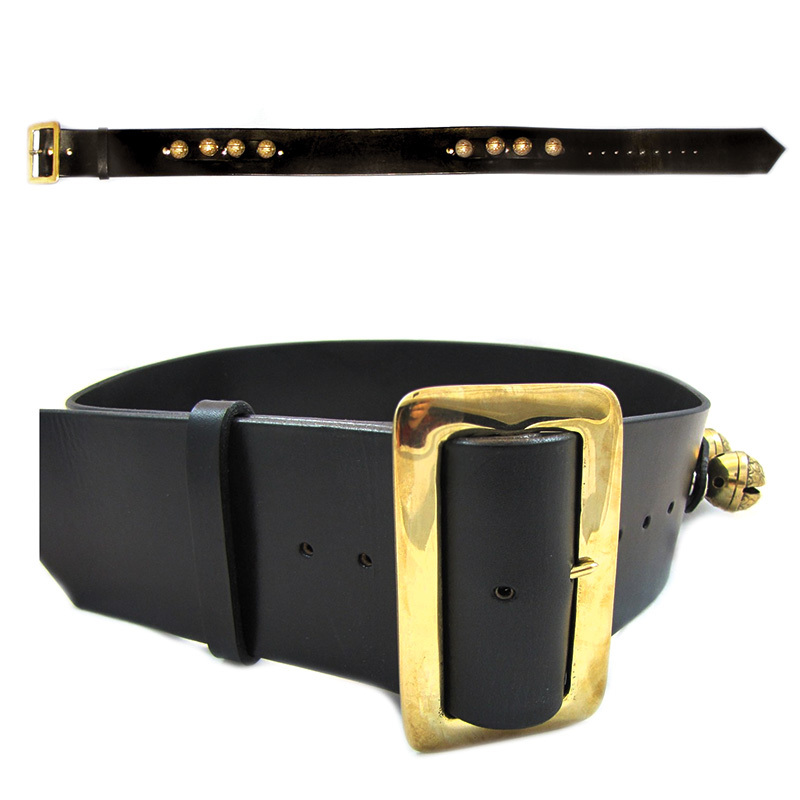 A custom handcrafted Santa belt from Irish Leather Works. 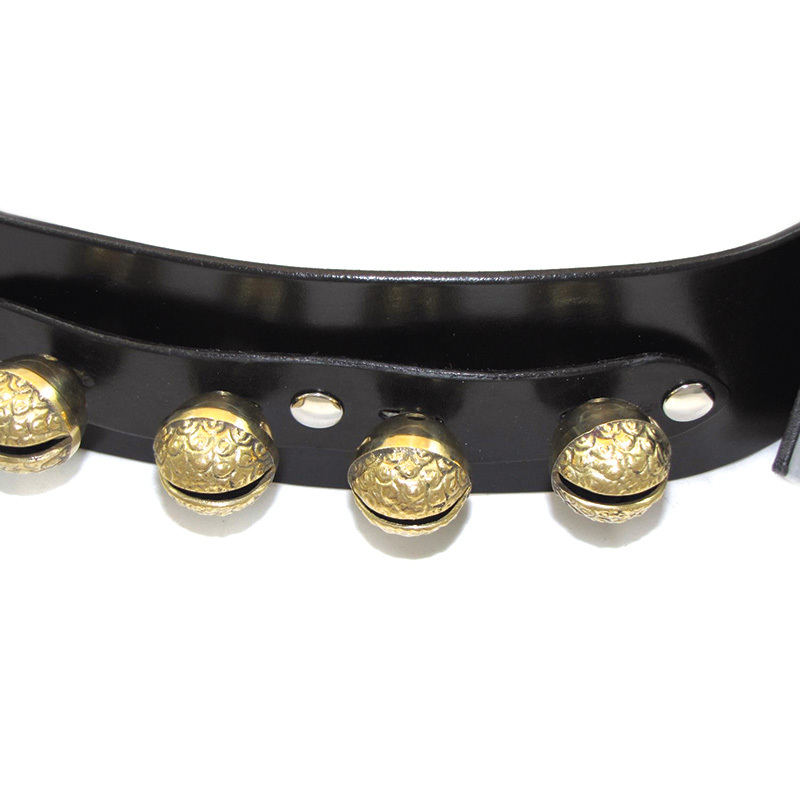 This belt is made of English Bridle leather and features a large solid brass Santa buckle and 8 removable solid brass raspberry bells mounted on 2 strips. This is the REAL thing!!! Authentic as it gets. Great for the professional Santa or for decoration! 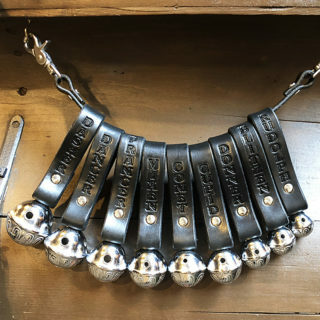 Since this is a custom-made item, and most Santas wear their belts in different places than regular pants, please send the exact size around Santa, and we will make it fit great!